Catapult’s Information Technology Services and Solutions are tailored for the critical mission challenges our government clients face. We enable organizations to translate their goals into IT initiatives and help them be more agile. Deploying innovative Microsoft IT products and services streamlines administrative processes, increases productivity, and accrues more value from government investments on IT infrastructure. 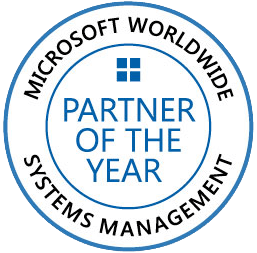 In 2012, Catapult was recognized as Microsoft’s Worldwide Partner of the Year for Systems Management for our expertise in systems management technologies such as System Center, EMS and Skype for Business. We are also leading the charge in educating IT professionals around the globe through System Center Universe, a forum for we created that supports thousands of companies and government organizations evolve their Microsoft infrastructure services and capabilities.